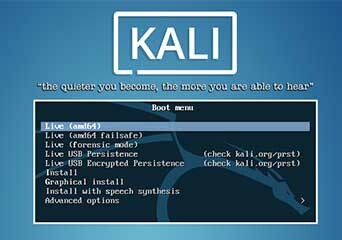 Hack Any Windows Version Password Using Kali chntpw tool in 20 seconds! Today I am here again to teach you the process of hacking Windows 10 or any other version of Windows. Sometimes, we forget our password and we want to reset it in a legal way. S0, we are using Kali Linux for this. It requires chntpw tool in Kali to modify SAM hashes. STEP 1Download Kali Linux ISO and burn on a CD/DVD or flash it to a flash drive to make it a bootable USB. STEP 2From Boot menu -> Select Live (Forensic Mode) to launch the OS without actually installing it on to the hard drive. STEP 3Enter the default username as root and password as toor when prompted. to list out the SAM files. It lists out all the usernames found in the SAM on the host Windows OS. STEP 9We found our main action, so now you can press 1 for clearing the previously set Windows password. 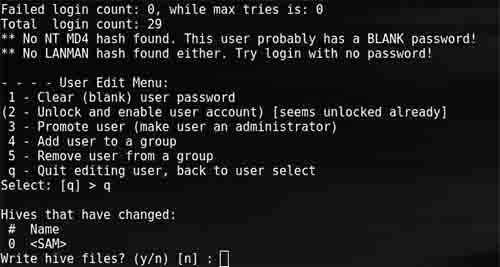 Then suspend the Kali session and try logging in into the victim Windows OS with usually don’t prompt any password! Hope, you find this cool on how to reset password in any Windows 10 or other versions of it!